I cannot believe I have not written about Dubai yet. Truth is, it took some time to arrange my visit, but I admit I love the city. It is so different than Abu Dhabi. Livelier and historical, but also more western and megalomaniac. Here is a quick photographic documentary, I will revert with more details later. I like the old quarters, Bur Dubai, the most. From smelly abras sailing across the Creek, traditional souks with pushy sellers, narrow winding streets and old open air museum. I like the megalomaniac Downtown with the gigantic shopping mall housing an aquarium, exhibition displaying a dinosaur skeleton and Star Wars’ stormtrooper helmets. 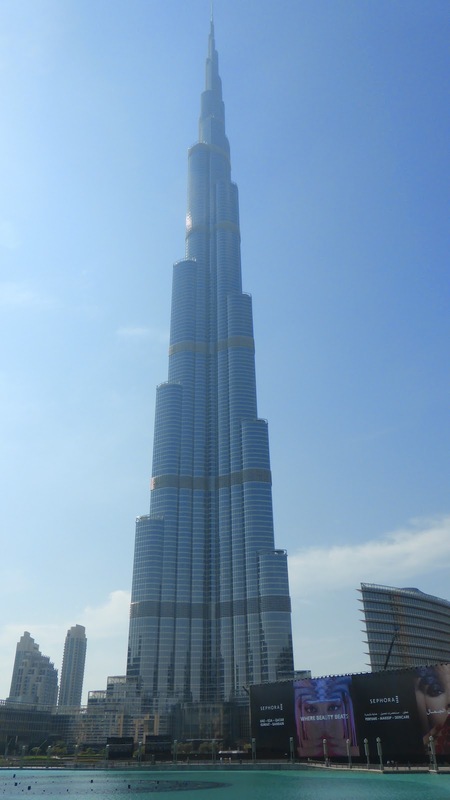 I was amazed by the Dancing fountain virtually just under the Burj Khalifa, the tallest building in the world. Madinat Jumeirah is also charming. Part of it is a five-star hotel separated from the souks and restaurants by a water canal and bridges. Burj al Arab is just next to this resort. I found the man-made islands Palm Jumeirah quite interesting, too. Although I saw only a little and it seemed to be empty, yet the hotels and yachts around point to a solid clientele. And Last but not least, I have visited also the Dubai Marina. This quarter is seen on arrival from Abu Dhabi direction. Its distinct and sky-high towers are built around a marina. A city jungle for some, an interesting architectonic display for me.